Last Saturday we drove Lexie up to her new home in Bakersfield. She did very well on the trip up- walked right into the trailer, and was quiet the entire ride. Her new owner will be Jeff, a young boy with autism who wants a horse of his own to love and to walk around the arena right outside of his home. Lexie fit right in with the llamas, alpacas, pigs, rabbits- oh, and other horses! 🙂 She will have lots of friends, both animal and human, and will be very much loved by her new family. For those unfamiliar with Lexie’s story, we took in Lexie last November from a local stable that was going to send her to auction. Lexie competed in reining and barrel racing, and was apparently very successful, but overuse ended up creating a calcification on her right knee. Although Lexie worked her entire life for humans, and was loyal and steady, her owners traded her to the stable for another horse instead of finding her a retirement home. The stable did not want to keep Lexie, so we took her so she would not be submitted to the horrors of the auction house, and, because she was no longer 100% sound, most likely the slaughterhouse. 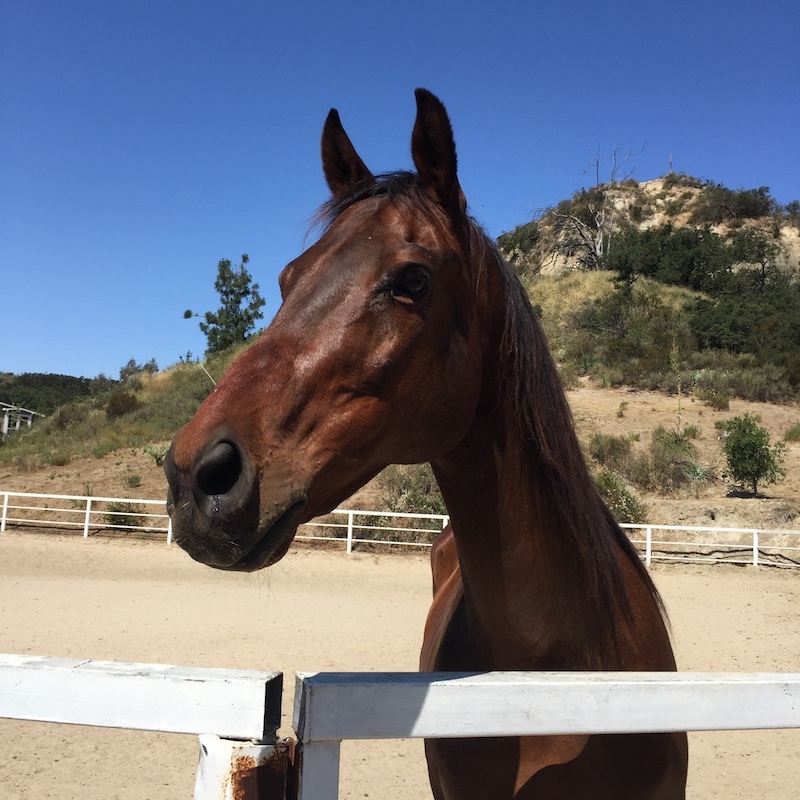 Horses like Lexie, who have served humans without fail, and who are injured because of humans, are often thrown away or traded for a proverbial “newer model” everyday. We should honor these horses, and thank them for how they have served us, not send them to a potentially horrific fate of a slaughterhouse. We are thankful to Lexie’s new family, who was able to see past her lameness issues, and who were willing to open their home to a lovely and very deserving horse.